Bag Weight: 1 lbs. 12.1 oz. Stuff Sack Weight: 2.3 oz. 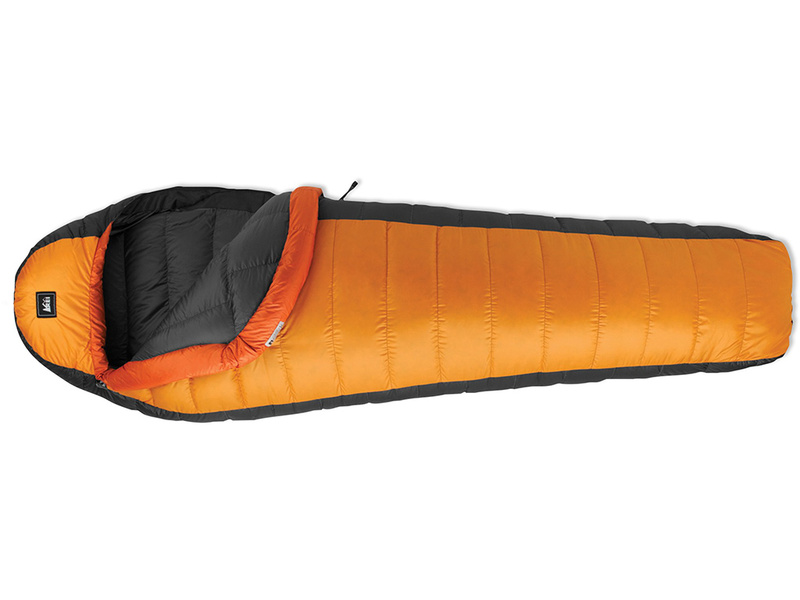 I had been searching for an inexpensive ultralight sleeping bag when I came across the REI Sub Kilo +20 down sleeping bag. At under 2 pounds and less than $150 (2009 closeout) it seems like the perfect 3-season mummy bag. The outer material and lining both feel extremely lightweight, but durable. The down appears evenly distributed and easily lofts after removing from stuff sack. One plus is the bag ships uncompressed in the large cotton storage sack. The slim fit of the bag fits my skinny frame perfectly. I don't swim in the bag like some wider mummy bags. I am just shy of 6 feet tall and find the regular length of the REI Sub Kilo +20 just right. No extra space to have to heat up on cold nights. The full-length zipper is easy to operate and doesn't appear to snag easily. The drawstrings work well cinching up the hood and draft tube. The bag easily stuffs in the stuff sack and could be compressed even smaller with a compression sack. 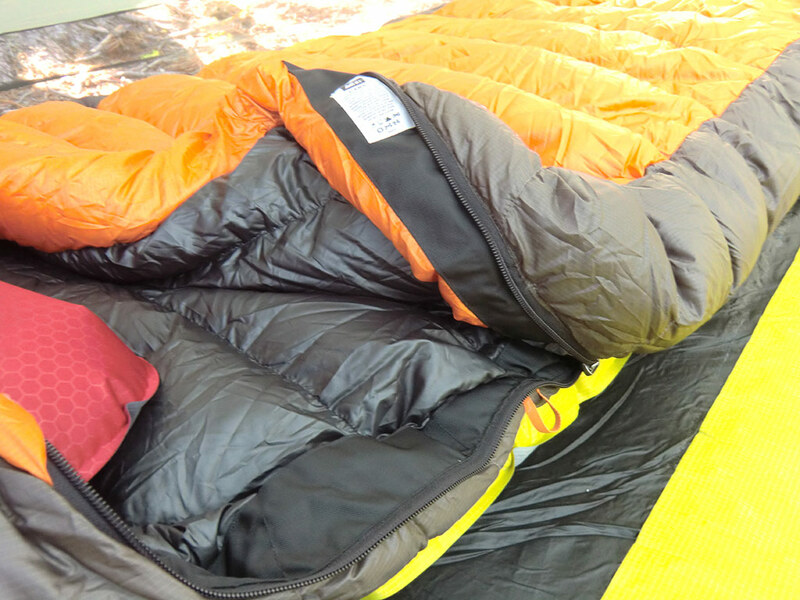 My first trip with the REI Sub Kilo +20 sleeping bag was a backpacking and climbing trip high in the Wallowa Mountains. The bag took up little space in my 42 liter pack leaving plenty of room for the rest of my gear. 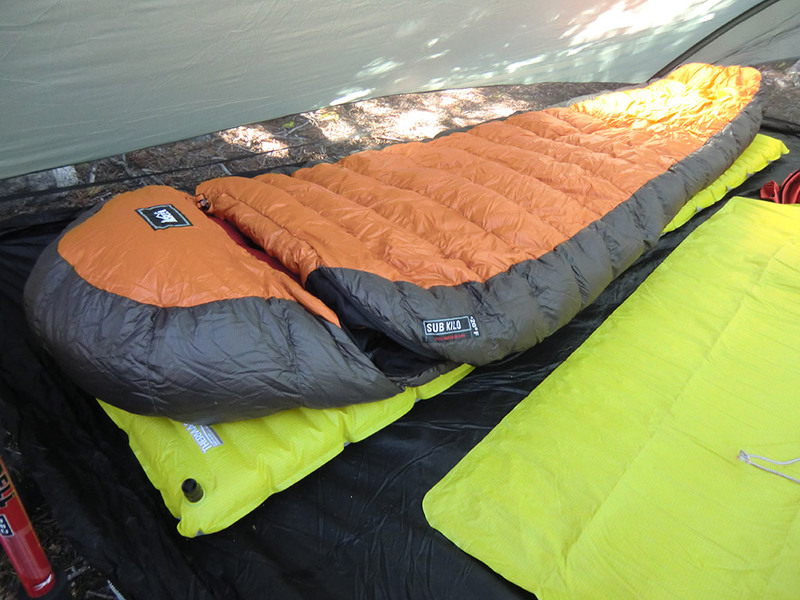 After taking the bag out at camp, it quickly lofted and fit nicely on my Therm-A-Rest NeoAir mattress. The temperature dipped down to the low 40's and the REI Sub Kilo +20 kept me toasty warm. I found it easy to sleep on my back and sides. The bag fits snugly, but not uncomfortably so. It is easy to get in and out of and move around a little. The lack of extra space means less volume to heat up. I suspect the temperature rating is fairly close, but I'll have to wait and see the next time I use it on a colder trip. 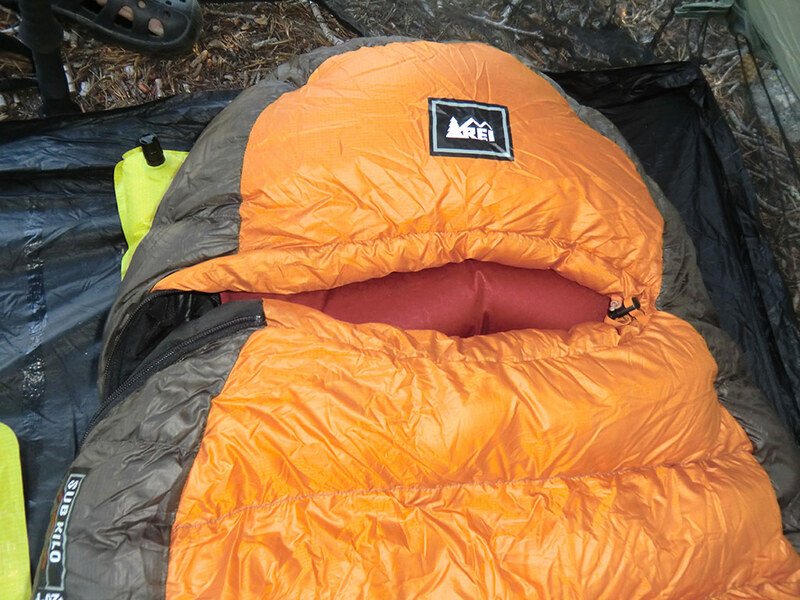 See Ice Lake adventure where the REI Sub Kilo +20 sleeping bag was used.